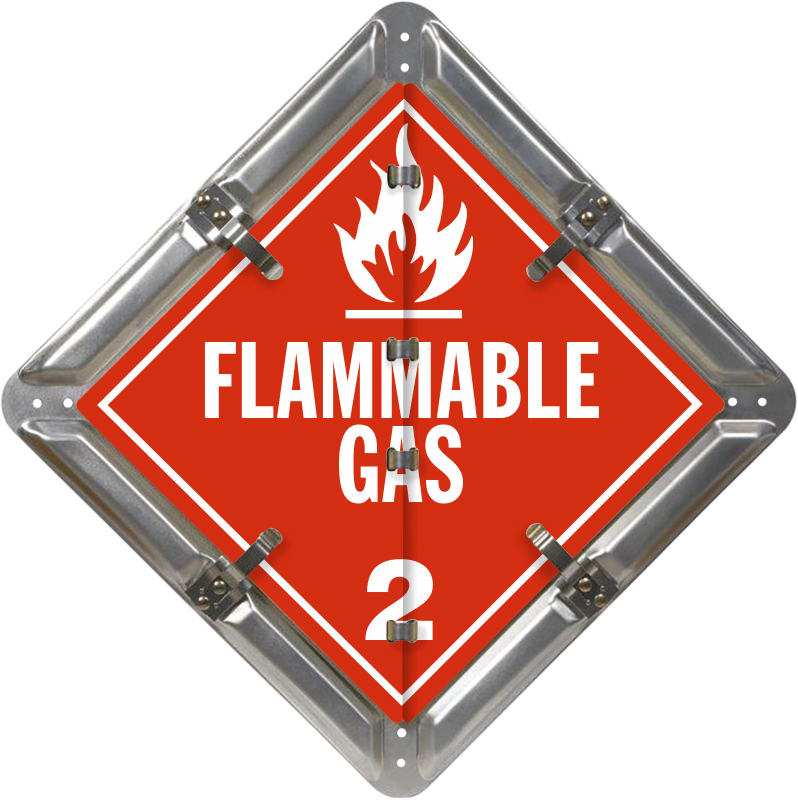 Contents Combustible, Corrosive, Dangerous, Dangerous When Wet, Flammable, Flammable Gas, Flammable Solid, Inhalation Hazard 2, Inhalation Hazard 6, Miscellaneous, Non-Flammable Gas, Organic Peroxide, Oxidizer, Poison, Radioactive DOT placard flip panels. 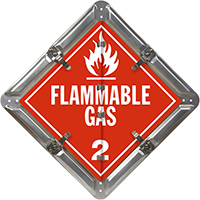 Flip-n-Lock™ placard sets now include 15 different DOT legends, including Organic Peroxide. • No other placard set is brighter and more vibrant. Each flip legend is screen printed for durability. • Placard sets are constructed from a rust-free, heavy 0.032” thick aluminum back plate. Each legend sheet is similarly durable – they are also 0.032” thick (compare to 0.023” from the competitors). • Each placard legend has rounded corners for easy flipping and nick-free, safe handling. No other placard system flips more smoothly. • Stainless steel clips have been proven over a generation of wear. Spring clips lock the placards into place – against the toughest conditions that truckers face (wind, speed, storms, etc.). • Flip-n-Lock™ placard base plate has a natural aluminum finish.